IN the past week, Kampung Kerinchi in Kuala Lumpur has been in the spotlight once again in the Malaysian real estate industry. About a year ago Lembah Pantai Member of Parliament (MP), Fahmi Fadzil, had asked for Bangsar South to revert to its original name, Kampung Kerinchi. This request was made during a meeting with Kuala Lumpur MPs andMayor Tan Sri Mohd Amin Nordin Abdul Aziz. This news had the real estate community buzzing and many people wanted to know whether it would affect property value in the area. Opinions were varied and divided. There was also a debate whether Kampung Kerinchi was in the first place officially renamed Bangsar South in 2012. Bangsar South, in fact, is the name of the development that was created by UOA Development Bhd. It did not change Kampung Kerinchi to Bangsar South. It named its development Bangsar South. In 2010, UOA Holdings Sdn Bhd then general manager David Khor Soo Beng was quoted by an English daily as saying that the development was called Bangsar South City because it shared the same postcode with Bangsar even though the location was in Kampung Kerinchi. Fahmi has been working hard to restore the area’s name back to Kampung Kerinchi — a pledge he first made during his campaign trails. Last week, Fahmi along with dignitaries from the government, Parti Keadilan Rakyat president Datuk Seri Anwar Ibrahim and Permatang Pauh MP Nurul Izzah Anwar made an official announcement during a launch event in Kampung Kerinchi that the area will no longer be known as Bangsar South. It will be known as Kampung Kerinchi. “There is a rich history here in Kampung Kerinchi. Why should we be ashamed that it is called ‘kampung’ (village)? Many great people come from here, we should not push aside our roots,” said Fahmi at the event. In a Facebook posting dated January 20, Fahmi wrote that some people, including the media, have misunderstood or not seen clearly what the proclamation of Kampung Kerinchi means. Fahmi said the name Bangsar South is not being “wiped out” in the dramatic fashion that some media have put in their headlines. He clarified that Bangsar South, Pantai Hillpark, Taman Bukit Angkasa, LRT Universiti, KL Gateway Mall, Angkasapuri, PPR Kg Kerinchi, Vista Angkasa and many more are all subsets of (i.e. geographically within) Kampung Kerinchi. Kampung Kerinchi is located in Pantai Dalam, Kuala Lumpur. In its heyday, it had a big settlement of squatters comprising locals as well as immigrants from Jambi, Sumatra in Indonesia. Kampung Kerinchi took its name from Kerinchi in the Jambi district. The area was founded by Haji Abdullah Hukum, who arrived in Malaya with his wife and children during hard times, and a group of Sumatrans from Kerinchi. They settled in Kampung Kerinchi and planted pineapples, padi and fruits to survive. In 1990s, the Kuala Lumpur City Hall decided to develop the area, building low-cost flats and middle-cost apartments. Some of the squatter settlements were demolished and the residents moved to the new flats in 1993. In the following years, UOA came to Kampung Kerinchi. They started buying land in 2005 and constructed commercial and residential towers. 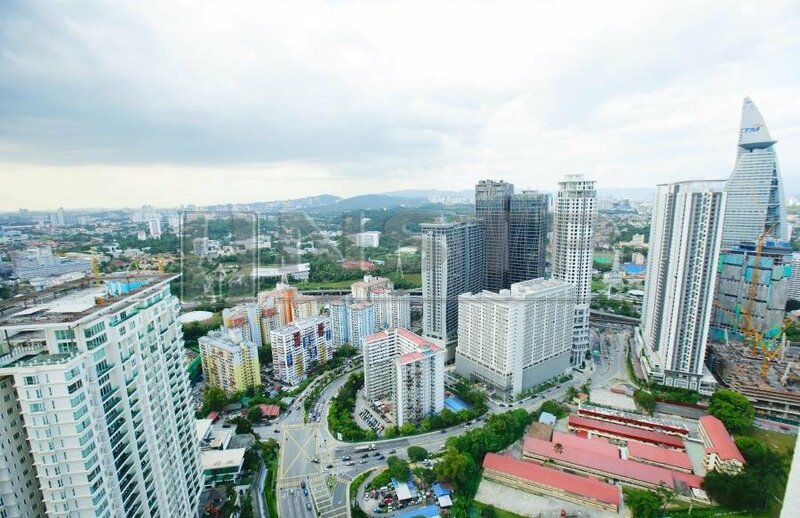 UOA named its development Bangsar South City, which today consists of Grade A office towers, medium to high-end residential units, service suites and retail shops. Bangsar South was developed on a residential plot which comprised Kampung Kerinchi and Seri Angkasa leasehold flats, and Vista Angkasa apartments. Another development in Kampung Kerinchi is the KL Gateway, developed by Suez Domain and linked to the Universiti light rail transit station. This mixed development comprises residences, corporate towers and a mall. IMPROVEMENTS FOR KAMPUNG KERINCHI FOLKS? Beyond the renaming, there are plans to improve Kampung Kerinchi, according to Fahmi’s Facebook posting. He listed a few things that have been lined up for rollout, including the construction of three arches or sculptures to mark entrance into Kampung Kerinchi. There will also be a review by City Hall, traffic consultants and his office ofJalan Kerinchi, Jalan Pantai Murni and Jalan Pantai Permai as well as a portion of the cross junction above the Federal Highway to increase the level of service (LoS) of these roads. “There will be rerouting, road-widening and construction of multi-storey carparks,” he said. A few small-scale projects are also in the plan to cater for the increased population expected in the next 10 to 20 years. This includes expediting the completion of the new building for SMK Seri Pantai in Jalan Kerinchi, which according to Fahmi, has been delayed by three years, building a new Klinik Kesihatan (Jenis 2) in Kampung Kerinchi/Pantai Dalam and two new schools in Kampung Kerinchi. “There’s also a plan to build a new People’s Housing Project (PPR) in Kampung Kerinchi/Pantai Dalam. We will also introduce a free GoKL bus service for Malaysian citizens in Kampung Kerinchi and Pantai Dalam,” he said. Other exciting events lined up for Kampung Kerinchi folks are “Ini Kerinchi Lah!” arts and culture festival that will take place this year or in 2020, providing more free health clinics throughout Kg Kerinchi and Taman Seri Sentosa (south of Old Klang Road, which is still under Lembah Pantai), and creating a Kebun-Kebun Kerinchi and a Kebun-Kebun Sentosa, based on the Kebun-Kebun Bangsar model.